Tallulah Park is the walking personification of the phrase “Could do better.” Aged 21, she’s working a dead-end job, living in a depressing bedsit, and has few if any friends. It’s the “until now” that hints at the heart-wrenchingly vulnerable side to her personality, with an exterior, as one character puts it, “as hard as nails,” but with “a soft centre.” This is a girl who’s learnt to put up barriers, to snap first, ask questions later, even to the detriment of her own happiness. As the novel unfolds, author Kat Gordon introduces us to Tallie’s sweeter childhood self, interweaving the versions of her protagonist until the two stories gradually come together to reveal what went wrong in Tallie’s life, and how it could, potentially, come right again. 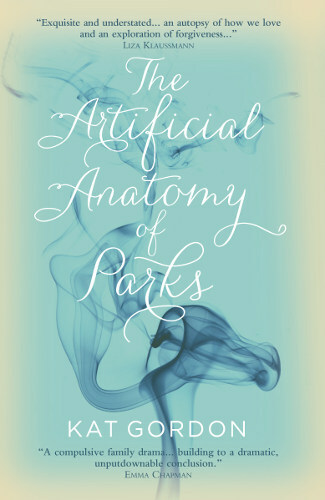 In today’s guest post, author Kat Gordon talks us through how she went about weaving together different time periods in one narrative for her debut novel The Artificial Anatomy of Parks. At its heart, my book The Artificial Anatomy of Parks is about family secrets and the damage they cause, and is told through interweaving narratives in the past and the present. 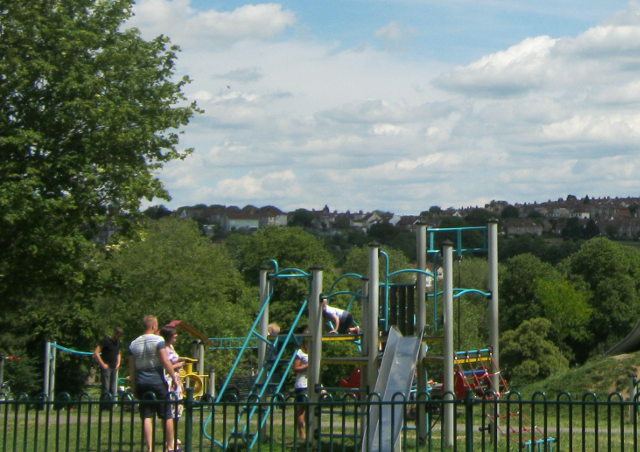 The Parks are a larger-than-life, eccentric family, and Tallie – the protagonist – begins the novel as a young woman already estranged from them.She hears of her father’s heart attack, and visits him in hospital where she runs into other family members and is gradually drawn back into their world. The more time she spends with them, the more she remembers her childhood, and teenage years, and the reason behind her estrangement, until she makes the decision to uncover what she sees as the biggest secret her family have been keeping from her: everything that happened the day her mother died, and how her mysterious Uncle Jack was involved. Here are a few of the things I learned as I was writing the novel. I knew from the start I wanted to depict Tallie, my protagonist, both as a child and an adult. When you’re writing from the perspective of children, you can have them say or do almost anything, because they don’t have the same sense of social niceties. Most of the lightness in the novel comes from the dramatic irony of the adult Tallie recounting the younger Tallie’s actions and reactions with the benefit of hindsight and maturity. I think this distance is where the humour lies, and I really wanted that element in the novel, which covers some fairly dark territory at times. Weaving the two storylines together rather than having a more straightforwardly-linear narrative also allowed me to juxtapose Tallie’s happy childhood memories with her present day experience, lending poignancy to the narrative. On the other hand, when you’re writing adult characters they can analyse events better, and think about what’s happening around them in a more complex way, which is also very satisfying for the writer. On top of that, their actions can take on an added level of significance, either positive, or destructive, because they understand the concept of consequence, and that was very important for the pacing of the present-day narrative. The narrative in the past follows Tallie from age five right up to twenty-one, five weeks before the novel starts, so it was always going to have a sense of progression and momentum, because we see her change so dramatically. The present-day narrative takes place over a period of roughly one week, so it could have felt too quick, or, given Tallie’s passive mindset at the start (she’s come to accept her lack of friends and family, and her unfulfilling job), it could have felt too slow. From the beginning, I was conscious of the fact that at some point in the present-day timeline she had to make a decision to become more active (knowing full well the risks and consequences involved), and that would be when the book kicked up a gear. It’s her decision to find Uncle Jack, who set everything in motion when he suddenly appeared all those years ago, that drives the book towards the big reveal at the end. While I was doing the synopsising (more on that below), it also became obvious that I needed more of the present day (it was originally set over only three days), and that I needed to emphasise that arc so that it gained more of an equal weighting with the past (younger Tallie goes from happy, trusting and affectionate to unhappy and isolated; present day Tallie moves from brittle and damaged towards reconciliation, but that was getting lost). You don’t want your readers to skip over one of the storylines to get to the other because they’re not as fully invested in it. Adult Tallie is able to drop hints about significant events – accidents, strangers arriving unannounced – in the past of which her younger self is blissfully unaware at the time. But also switching between the different time periods creates cliff-hangers, as the action in either the past or the present is interrupted for the other storyline. These interruptions were something I could play up (for instance, by having adult Tallie comment directly on what’s just been happening in the past before the switch), or play down as I liked; in the middle section, just before Tallie starts trying to find Uncle Jack, I had a succession of very short scenes that switched rapidly between the two timelines, and that was meant to suggest her fractured, unsettled emotional state. So the form is really very useful on many levels! 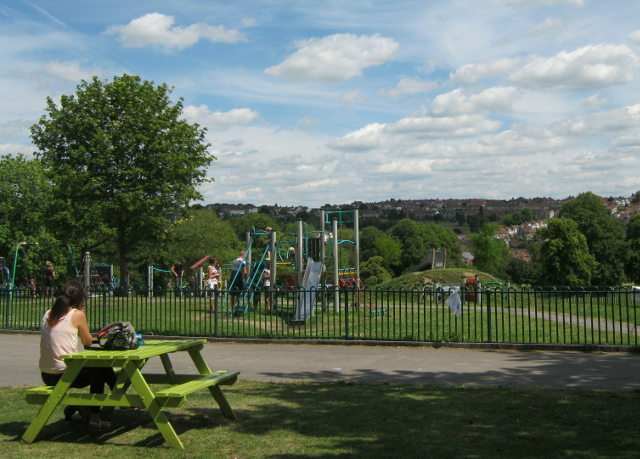 Rather than writing the two narratives separately, I wrote The Artificial Anatomy of Parks as it reads, alternating between the younger and older Tallie’s perspectives. When I’d finished, I wrote detailed synopses of each scene on flash cards, and laid them all out on the floor (it took up a lot of space!). This really helped me concentrate on the pacing and allowed me to work out whether the revelations were happening at the right points; if something seemed to be happening out of sequence, I moved the cards around until it felt right. If you’re setting the scene for a big reveal at the end (in my case, the big family secret), you have to make sure it’s ‘foregrounded’ throughout the novel, but subtly (you want to pique the reader’s interest, but not let them understand everything until the very last moment). So although it can be time-consuming and nowhere near as fun as writing, synopsising is definitely something I’d recommend if at any point you’re worried about structure and pacing. In fact, for someone who is so terrible at timekeeping and organisation in real life, I’ve come to realise just how essential those two factors are in writing! Kat Gordon was born in London in 1984. She attended Camden School for Girls, read English at Somerville College, Oxford, and received a distinction in her creative writing masters from Royal Holloway. 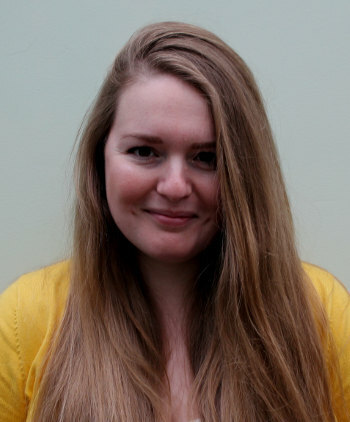 In between, Kat has been a gymnastics coach, a theatre usher, a piano accompanist, a nanny, a researcher and worked at Time Out. She has spent a lot of time travelling, primarily in Africa. Kat lives in London with her boyfriend and their terrifying cat, Maggie. The Artificial Anatomy of Parks will be published by Legend Press on 1st July 2015.